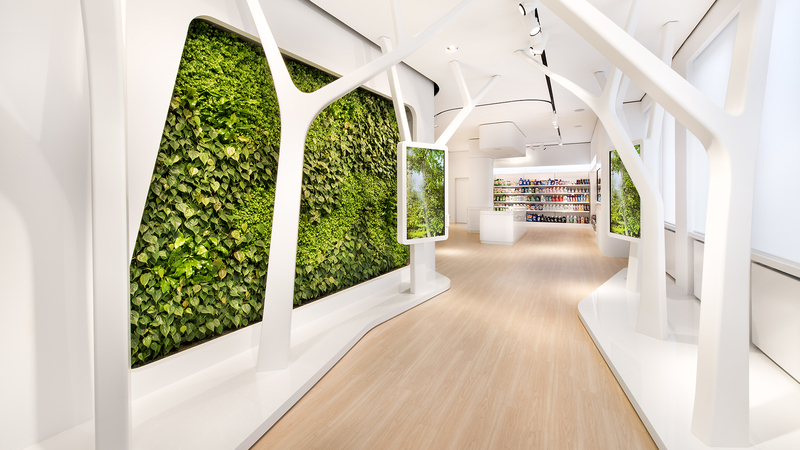 After a planning and building phase of 18 months, Dart delivers the Global Experience Center with an interactive experience exhibition of 700 sqm to its new customer Henkel “Laundry & Home Care”. The Global Experience Center (GEC) is located in the historical building A04 at the Duesseldorf production site and offers a unique platform for innovation and competence on a 700 sqm large exhibition area with more than 14 interactive stations. The inspiring atmosphere and the intelligent space concept allow visitors to experience the different dimensions of “Laundry & Home Care” with all their senses. 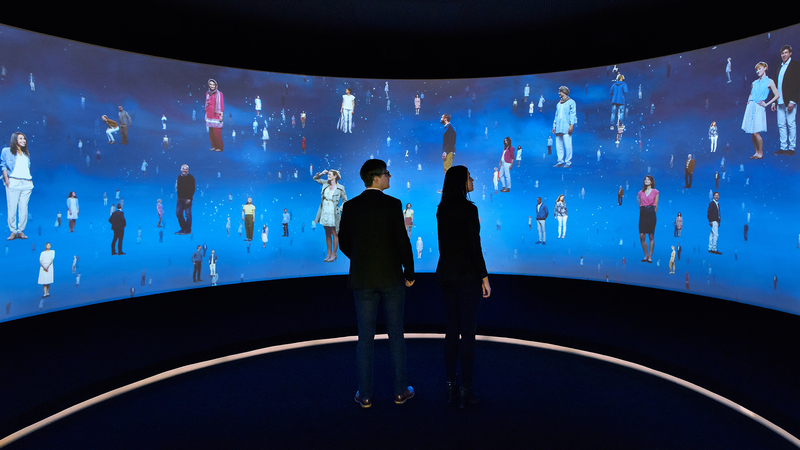 The first station for visitors is already very impressive: It is the “Experience Room” with its 270° cinema that is equipped with the innovative fragrance technology from the Henkel Fragrance Center (HFC). Nevertheless, all the other stations also include interactive modules, be it multimedia elements, the use of so-called eye-tracking glasses at the POS product shelf or the opportunity to put together individual products for oneself. The Global Experience Center thus takes an exciting look at the future in the area of Laundry & Home Care. Customer wishes, product development and commercialization form a visionary triad. Future and history melt into one individual and sensorial experience of architecture, scenography and language. 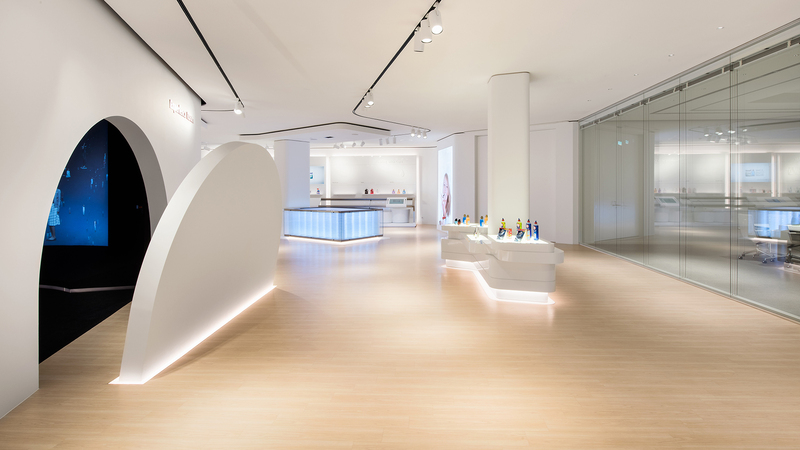 The jury was impressed by how multifaceted the brand space “Henkel Global Experience Center” was designed. The combination of haptic and multimedia interaction is very inspiring: the visitor is downright drawn to it due to its appealing design. 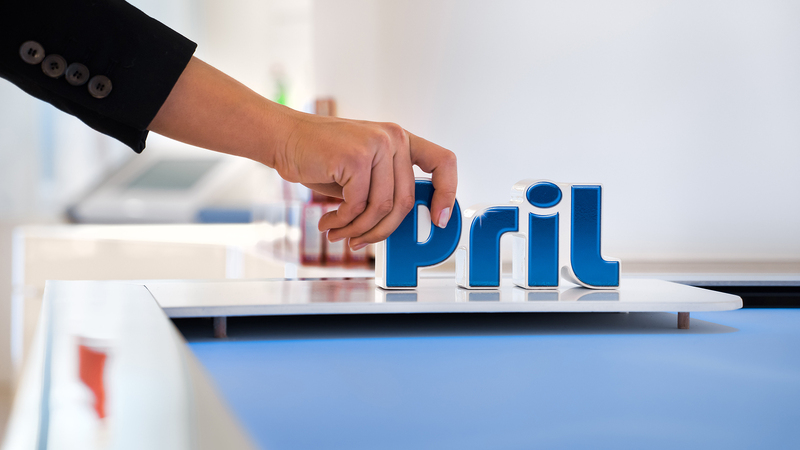 The brand image of Henkel has been ideally implemented three-dimensionally. Within this bright and clean space, the promise of expertise for “Home Care” is conveyed very convincingly. You know what you have [experienced] there.